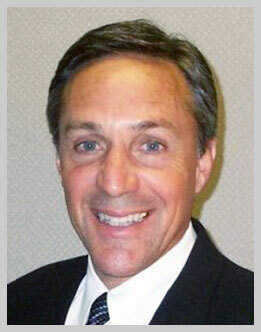 Steve Coldani began a partnership with Leah West in 1992 to form what was then known as Coldani West Realtors®. Since then, they have successfully expanded their real estate business and enjoy a large presence in GRAEAGLE real estate as GRAEAGLE ASSOCIATES, Realtors®. Steve has been a licensed real estate broker and owner of Coldani Realtors®, Inc., a family-owned and operated business that has specialized in ranch, agricultural, and commercial real estate needs in the San Joaquin Valley since 1959. Steve and his wife, Jeanne have raised 2 children in Lodi – but GRAEAGLE has been a big part of their life for many years. As Plumas County property owners, Steve served several years as a Director on the Graeagle Meadows Homeowner’s Assn. Board – (challenging) and rewarding! The entire family continues to partake in the abundant recreation here in the Graeagle area; fishing, hiking, boating – and best of all… just relaxing! Living and working hand and hand in the fertile San Joaquin Valley, where the family has been farming for over 70 years, the Coldani name has most recently become synonymous with the finest quality extra virgin olive oil, produced from the Coldani Olive Ranch, “where quality is a family tradition.” CALIVIRGIN Olive Oil is rapidly becoming a much desired commodity, visit their website below or purchase it at the Graeagle Mercantile in downtown Graeagle. "We have been trying to sell our property for some time. After listing with Leah, we sold it after a few months. Best realtor in the area and a great company... continued"